Cavan business man Hugh Leddy is to launch an innovative web platform in early 2013 to assist the 100,000 Irish people stuck in debt by matching them with potential ‘ordinary’ business angels. Leddy is currently raising funds for his project, called Debtrow, that will act like a dating agency for debt laden individuals, putting them in contact with suitable solvent Irish people prepared to help and invest in their fellow Irish citizens. It’s a win-win situation for everyone . Leddy found himself recently at the wrong end of the property bubble, and was down more than a million euro and on the dole. He began thinking outside the box and came up with innovative debt matching website concept. 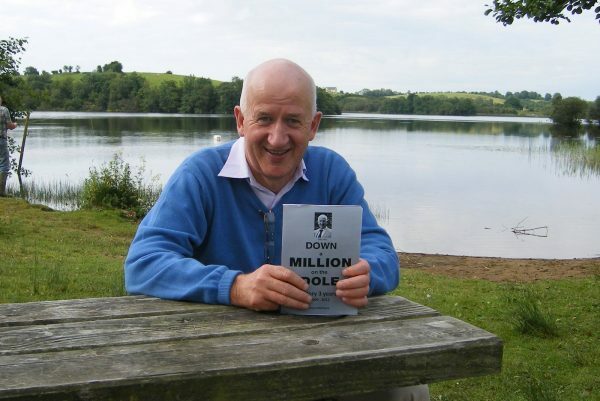 His autobiography, Down a Million on the Dole to be published this Christmas has been accepted by Fundit.ie, the crowd sourcing funding website. The pledging period has more than 40 days to run and closes in the first week of September. Leddy will use the profits from the book to bootstrap his debt matching website, Debtrow.ie, to be launched next year although registration is available now for interested parties. On Debtrow, people will be asked to colour code themselves Green, Orange and Red. Green indicates they are solvent individuals, orange are people struggling with debt and red are people who have reached a debt cul de sac. Everyone gets a number, a number on debt row, and they can then post up their profiles. Through Debrow, GREEN114 would have an opportunity to help a fellow citizen, take a punt on the investment and have the potential to earn more than if the money was sitting on deposit. He/she is acting like an ordinary business angel, helping people in real need. “People in the RED and ORANGE need help now. People are losing their family homes, emigrating or taking their own lives as a result of massive personal debt, debt they cannot shake off, and we have the ability to connect people and help them correct their debt,” adds Leddy. 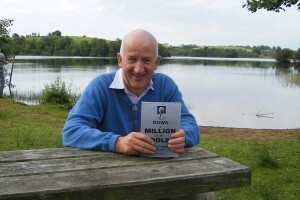 Leddy’s book, Down a Million on the Dole can be supported on Fundit.ie. Pledges begin as little as 5euro. His book launch is planned for November 25 in the Hotel Kilmore in Cavan town.